With such myriad of high-definition video formats available in the marketplace, how do you know which is best for your project? How can you tell the difference? Which is better? DV Magazine’s technical editor, Jay Holben, will explain the aspects of high definition video formats and demystify the lingo. Learn exactly what compression codecs are commonly used, how to understand bit rates and color dissemination. Ever wonder the difference between 4:2:0 and 4:1:1? 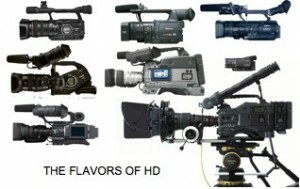 Why is one HD camera $250,000 and another is only $20,000? Leave the session having akeen understanding of the elements that make up high definition formats to be able to make more informed decisions about which format and which camera is best for your project. Our Emerging Filmmakers Program (EFP) expands this year with a full line up of filmmaking seminars and labs. We will be launching this new initiative with a new seminar series for cinematographers & camera assistants. The monthly seminars will encompass a wide range of topics and issues, designed for all ranges of experience and formats. 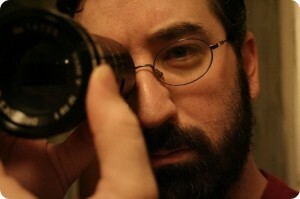 Jay Holben is an independent producer & filmmaker who worked as a director of photography for nearly a decade. Previously serving as Technical Editor covering film cameras and lighting, Jay has been a contributing editor to American Cinematographer Magazine for 12 years. He is currently the Technical Editor for DV Magazine, with a monthly column, ‘DV101,’ and is a frequent contributing editor for Videography magazine. 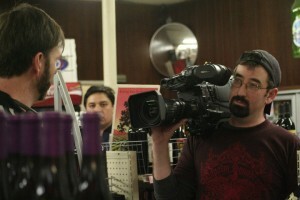 Jay has contributed to several books on cinematography, including the American Cinematographer Manual, 9th Edition. Jay is currently writing a new film lighting manual for digital shooters for Cengage Learning, due out in early 2011, on budget conscious lighting alternatives for DIY productions. Jay has been a member of HOLLYWOOD SHORTS since 1999 with his short adaption of the Stephen King poem, “Paranoid”, and he is our Department Chair – Cinematography at HOLLYWOOD SHORTS FilmLab.